Dumfries Timber Company’s D&G Home Improvement Centre has become the first merchant in Scotland to offer Laura Ashley kitchens and fitted bedrooms. Dumfries Timber expanded its business in 2016 with the opening of the Home Improvement Centre. Laura Ashley, the household name known for luxury home furnishings and design, is the fourth addition to Dumfries’ kitchen brands already on offer after the merchant was hand-picked to become an exclusive retailer. With the first Laura Ashley displays in Scotland, the National Buying Group partner boasts a range of showroom displays including four kitchens, three fitted bedrooms and a boot room, all decorated with Laura Ashley products and furnishings. The styles include everything from traditional to contemporary and are already proving popular. 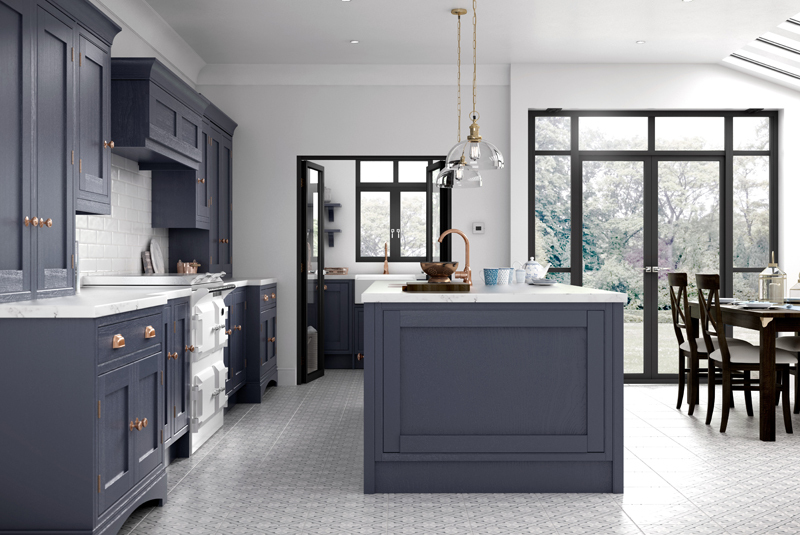 The collection is designed to offer something to suit every type of home, from urban apartment to country cottage, and each kitchen is available in a variety of finishes including gloss and hand-painted matte. Homeowners can choose from a number of traditional-style ranges including Bedale which is inspired by kitchens and pantries of period townhouses; Harwood, the classic Laura Ashley creation for a quintessential British look or Helmsley that gives a modern twist to a classic design. For a more contemporary feel, Marlow is everything you’d expect from a modern range with hand-painted or a gloss finish while the more minimal Richmond design combines natural shades with angles for a luxury refinement. Donald Young, Managing Director at Dumfries Timber Company, said: “As we aim to cater to both trade companies and retail clients, it was important that we found the right brands to display in D&G Home Improvement Centre. It has taken us a while, but with the addition of Laura Ashley we now truly believe that we have options to meet all of our customers’ aspirations in terms of their taste and budget, regardless of house type or location. Research from NBG found that partners think building a strong local brand, the availability of products and social media are key to their future success. NBG launched a Merchants of Change programme at its annual conference to give partners a voice and help future-proof their businesses. NBG partners PGR Timber and Coomers Ltd came out on top at the Builders’ Merchant Awards, winning the titles of Training Initiative and Showroom of the Year. For more information visit nationalbuyinggroup.com or find them on Twitter at @NBGLLP or on LinkedIn at National Buying Group.